Yep, people tend to get trail names. It's supposed to happen spontaneously. 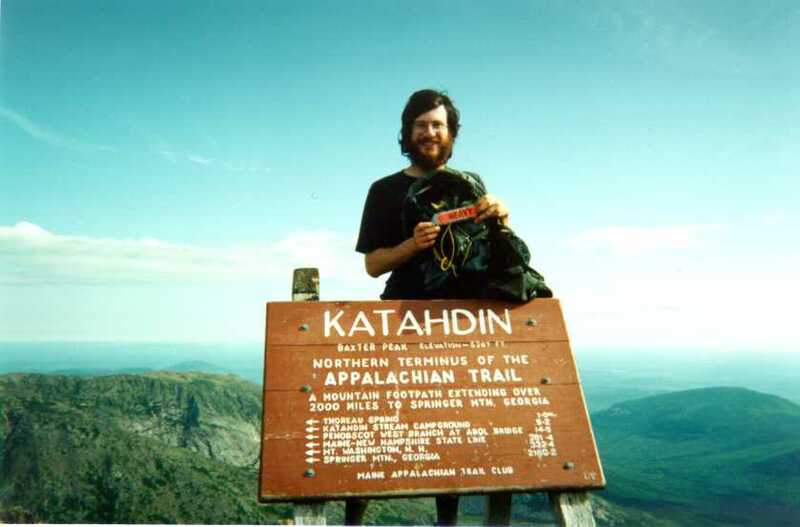 My question is whether to reuse my Appalachian trail name, "Heavy", given to me because of an (in)auspicious bright orange luggage tag that got applied to my backpack at the Tampa airport. I probably will. It would feel weird to have another trail name. I didn't like that one at first, but then, after a while, it's just your name. The HEAVY tag made it all the way to Maine with me, laminated with packing tape. As for Marina, who knows? Though if she blogs here using her current blogger profile name, her fate might be sealed. We'll see. So, did you all know that I'm planning to cut my hair at the kickoff weekend? FACTOWL strikes again! It has also been noted that WOLF CAT is an anagram for FACT OWL. Many possibilities! You definitely can't get a trail name until you're on the trail, so we'll have to see.